Tuesday, February 25 ~ NO Choir Rehearsal. Thursday, February 27 at 8:00 p.m. ~ Bingo will be played in St. Charles Hall. Saturday, March 1 from 10:30 a.m. to 12 Noon ~ Helping Hands Food Pantry in St. Charles Hall. Saturday, March 1 at 8:00 p.m. ~ Bingo will be played in St. Charles Hall. Coming soon! Bingo camera with monitors and electronic verification! We now have: Red, White & Blue; carry over Bonus Ball; and a progressive Share-the-Wealth! To check the carry over amounts and progressive numbers for this week, click HERE and visit our Facebook page. Monday, February 24 ~ Communion Service at 11 a.m.
Parishioners are invited to “Help Build the Future of Leroy/Fillmore!” ~ LPCiminelli invites us to an interactive community forum on Tuesday, February 25, from 5:30 – 8:00 p.m. at P.S. #61, 463 Leroy at Grider. They will be sharing a “new vision” for the neighborhood based on feedback they collected at their fall meeting, which many of you attended. In turn, we will have the chance to respond and offer additional feedback for consideration. This will be a wonderful opportunity for Blessed Trinity to play a part in building the future of OUR neighborhood. We encourage you to attend this important meeting. Please call 218-4698 or send an email to community [at] lpciminelli [dot] com and indicate that you will be attending so that the organizers can plan accordingly. Mardi Gras Raffle on Sunday ~ Don’t forget to purchase your tickets for our Basket of Cheer Raffle, which will take place on Sunday, March 2, at a special Mardi Gras-themed coffee hour hosted by the Ladies Sodality. 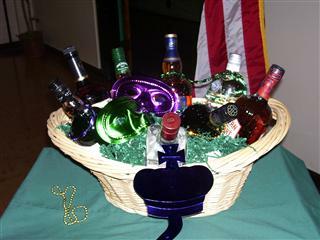 The first prize Basket of Cheer, courtesy of Bill Warren and Hertel Parker Liquor, is valued at approximately $250. There are two second prizes: $50 gift cards for Wegman’s and Dash’s. Tickets for the raffle are $1 each or 6 for $5. Additional tickets are available at the rectory and at coffee hour, prior to the raffle. Please DO NOT place raffle returns in the collection basket next weekend. If you are unable to attend coffee hour, please give your tickets to someone who is. 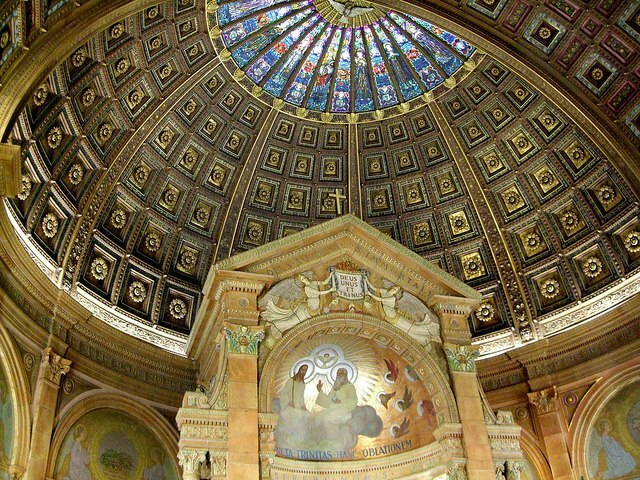 Minister of Holy Communion Training – If you would like to prepare for this ministry for our parish, there will be a training at Christ the King Seminary on March 8 from 9:30 a.m. to 2:00 p.m. Applications are available from Sr. Barbara. These forms will need to be returned to her by March 1. Upon Father Reger’s approval, completed applications will be sent to the Office of Worship. Approved applicants should bring a Bible and a brown bag lunch or snack. Beverages will be provided. Any questions, please contact Sister Barbara at 833-0301. National Black and Indian Mission Collection ~ Our parish will take up this annual collection on the weekend of March 1st and 2nd. Our support of this collection helps build the Church in African American, Native American, and Alaskan Native communities. Schools, parish religious education programs, and diocesan ministries depend on your generosity to help them spread the Gospel of Jesus Christ! Soprano soloist Karen Saxon joins the BCAS at Blessed Trinity on March 30. The Trinity Series Continues on March 30 ~ When The Buffalo Choral Arts Society (BCAS) performs at Blessed Trinity on Sunday, March 30, they will be joined by guest soprano soloist Karen Saxon. A graduate of the Buffalo Public Schools, Ms. Saxon completed her B.A. in Vocal Performance from Buffalo State College and an M.S. Ed. in Educational Administration from the University of Scranton. 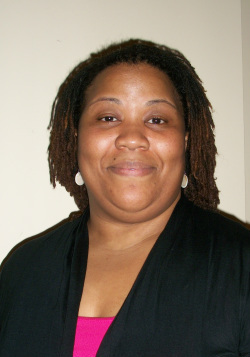 She presently teaches music at the Buffalo Academy for the Visual and Performing Arts, is a musician at Bethel AME Church, and Assistant Conductor of the Orchard Park Chorale. You won’t want to miss hearing Karen Saxon and the 100+ member Buffalo Choral Arts Society on Sunday, March 30, at 3 p.m. Please save the date and invite your friends. Click HERE for more information.